One of DR Horton's most popular plans has been barely lived in,the Aspen with a main floor office and three bedrooms plus loft (option for 4th bedroom) upstairs. 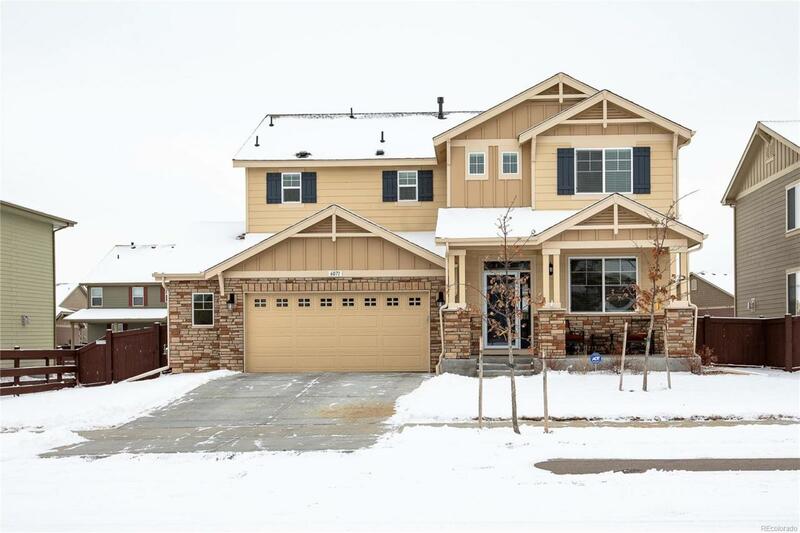 Main floor is open with convertible space for formal dining room in addition to large dining nook, double ovens and gas cooktop, refrigerator included, great command center/mud room space off oversized 585 sqft garage. Beautiful white cabinetry, 9' basement with rough-in for future expansion! Home warranty included.